Kitsune Studio; UX Design Agency. We believe critical design thinking is key to solving real world problems. We do this with collaboration and strategically led minimalist design. We craft brands and create UX led, bespoke websites. We're a boutique agency looking to partner with brands in the luxury, urban design, education & tech industries. Recent clients include vTime, Moscow International School & Qatar Airways. 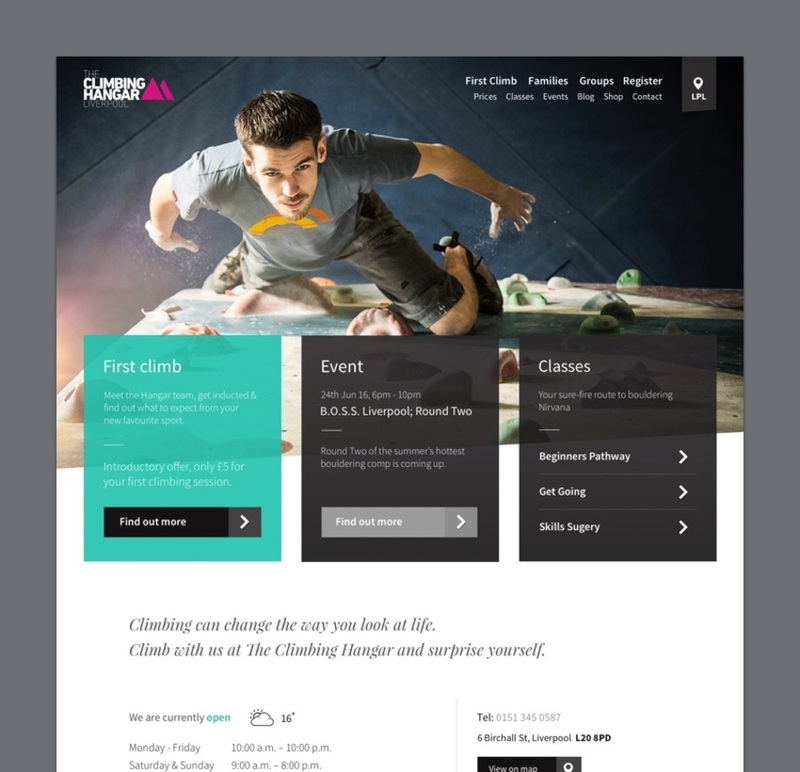 Bespoke responsive website for The Climbing Hangar. Climbing gym with sites across the UK. With our new website traffic improved by 442% over the first 6 months resulting in the best footfall of any year. User Experience, Strategy & Bespoke website design.